Mahmud Nasr al-Kharisi, member of Libya's National Transition Council (NTC). Human Rights Watch accuses militias in Misrata al-Libiya of terrorizing inhabitants [belonging to the] neighbouring Tawargra [tribe]. Mahmud Nasr al-Kharisi, a member of Libya's National Transition Council (NTC), has to reply to accusations of Human Rights Watch saying that rebel militias in Misrata are terrorizing neighbouring inhabitants who happen to belong to the same tribe as Gadafi's family clan. At the same time, Mabruk Eyis, being in charge of prisons in Tripoli, is questioned by Al-Jazeera about treatment of prisoners of war. Mabruk Eyis, responsible of prisons in Tripoli. [Ahmadi] Nejad : Iran's last president ? People's Network [People's Daily Online] report from October 27 : Iran's Supreme Leader [Ayatollah] Khamenei dropped a hint that Iran's presidential government would probably be abolished. This is being considered by the outside world as a clear warning directed to president [Ahmadi] Nejad. Nejad delivering a speech at the National Assembly of Iran. Having in his hand a lever [against] very many foreign leaders. In fact, Gadafi knew too much. 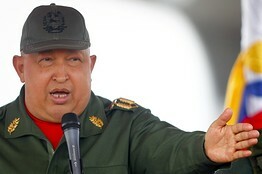 Once captured alive, he could be sure of being handed over to the international criminal court. During the last ten days of June, the law court had raised charges against Gadafi, his son Saif [Al-Islam] and [his] brother-in-law for crimes against humanity, and also [against] the chief of military intelligence, Abdullah Sanussi whose whereabouts are unclear at present. One could imagine that he would take the initiative to cause a kind of sensation at Den Haag. There, it could not be avoided that he would expose the [intensive] relations to president Sarkozy of France and Britain's prime minister Blair, his government and Western intelligence agencies in [their] fight against terrorism, or limiting the infiltration of immigrants from the Libyan coastline together with the European Union, or manifold cooperation granted to significant contractors of large-scale Western oil companies and construction firms. Gadafi on the 16th summit of the Arab League in Tunisia. The confidential file of an investigating member for Human Rights Watch shows: During the fighting to resist Holy War [i.e. fighting against so-called terrorism], Gadafi frequently declared that it was necessary to concentrate on establishing [mutual] relations with Paris or London like Washington does. In case he possibly meant being [related to] [joint operations] of intelligence [agencies] with ..... Military Intelligence MI6, [he would] even more seek refuge with his own clan. According to reports from British [defence intelligence], as early as September [2001?] , [Marc Ellen] the chief of an anti-terror unit of British foreign espionage organization Military Intelligence MI6 [reported] being involved in secret talks and that should urge Gadafi to do without such personnel critical to the [use of] weapons of mass destruction. In 2004, after having failed to become head of department for MI6, [Ellen] entered a survey group and became a senior adviser. In fact, this happened because Gadafi's huge capital was put into building a consulting firm, such giving himself a global image. 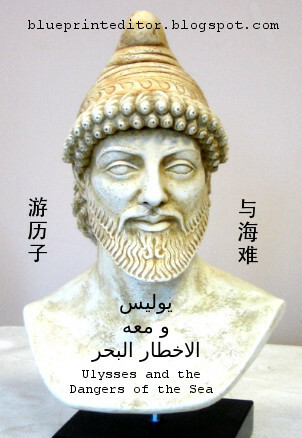 Moreover, [Ellen] also helped in research for Saif [Al-Islam]'s doctoral thesis at the London Institute of Economics. At the same time, working as a consultant for British Petroleum, [Ellen] gave assistance [to the] oil magnate to obtain a large quantity of contracts from the hands of Gadafi's regime. No, this is not Gadafi and his assassin, even if it might look like that ! It's a picture from the above cited Chinese article showing a wounded Gadafi fighter while being questioned by a soldier of the rebel army. What news in the street stalls called a friendly tête-à-tête of Gadafi and Rice. A photo of Rice found in Gadafi's home. Gadafi even made a well-known Libyan musician compose a piece of music for Rice and which was named "Black Flower of the White House". Rice found this rather surprising, yet not of wretched appearance. First results from 15 departments : Al-Nahda [Movement of Renewal] holds 15 seats of 39 [i.e. 38.5% of all seats in parliament]. The Conference for the Republic 6 [seats] and the [Platform] of the People 5 [seats]. Both minor parties might be known under a more popular name like Annahda or Al-Nahda which is in fact a popular abbreviation for the Movement of Renewal. Furthermore, there are about 60 parties registered for this election. Some of them might be prevailing in Tunis, others in rural areas. In addition, the Modern Axis of Democracy seems to be a union of at least four independent parties or movements. Final results might be necessary to present a clearer view of tendencies within such second-ranking parties and possible coalitions for a new Tunisian government. Above: Parties and movements composing the Modern Axis of Democracy. For further information on the General Elections in Tunisia, please, refer to a previous blogspot of mine and which was updated until yesterday. Why did the Tunisians vote for Al-Nahda ? The [constitutional] legitimacy of Al-Nahda is one of the factors that helped to the victory of Al-Nahda [and] which took profit as well from the defeat of national models and the leftists who came after the independence and [founded] autocratic organizations. Past days were characterized by remarkable events, beginning with the death of Muammar Gadafi and the final defeat of his regime. One might be annoyed by the circumstances of Gadafi's death, and a closer look at the proceedings of his capture should be taken. For the time being it might be sufficient to say that he had found the fate he deserved. Imagine Gadafi as the principal actor starring in an international courtroom where he could give his final performance as the well-meaning but misunderstood statesman. Furthermore, first democratic elections in Tunisia after the beginning of the Arab Spring marked another event that should be kept in memory, even more as the Tunisians achieved a 90% participation which is breaking all records in free and democratic elections anywhere in the world. In addition, the stunning victory of Christina Kirchner in her reelection as President of Argentine should be mentioned as she harvested more than 50% of all votes which makes up for another record figure in the democratic reelection of a political leader in a country, not so long ago shaken by economic problems. I can't help comparing the results in Tunisia and Argentine to recent elections in Germany where local participation is steadily declining, sometimes even reaching the 50% margin, because people are fed up with the hypocrisy of leading politicians whatever party they might present. 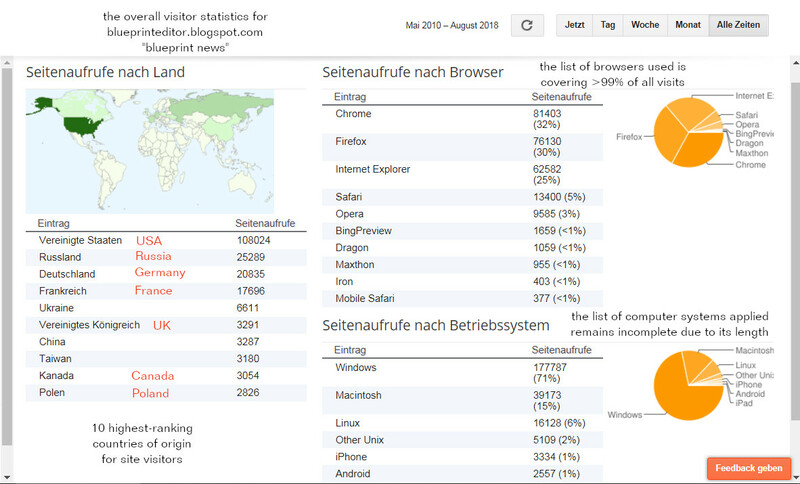 Here now are the weekly visitor statistics of my blog. Once again, it should be noted that these statistics only collect visitors whose addresses are carrying a country identifier. In order to get an idea of the total number of visitors, including those who use a ".com" or ".net" address, the actual visitor numbers should be multiplied by an estimated factor of three. Today, Tunisia experiences its first general elections after the ousting of president Ben Ali. There are 4.4 million voters and first reports, received at the end of the day, are hinting at a 90% participation of all voters (refer to image below !). Here are some of the most remarkable parties and their political programs as far as available [Source: Al-Jazeera, Arabic channel]. The predicted winner according to latest media news on October 24, 19:00 GMT. The moderate Islamist party is expected to receive about 40% of all votes, and they seem to have many female supporters [October 25, 04:00 GMT]. 3 terms of prohibition [i.e. this party was excluded from three foregoing elections under the rule of former president Ben Ali]. Its slogan: For Tunisia's liberty, justice and development. - Creation of a parliamentary and republican system. - For the realization of justice, liberty and stability. - Support of modern values. - Enforcement [or: support] of woman's liberty. - Establishing good relations with Western [countries]. - A new model for [development]. 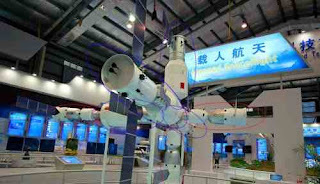 - A prospering climate favourable to investment. - Freedom of information and opinion. A new and small party [probably presenting about 2.000 people]. The Independent Election Committee Ali. Docket of a ballot box indicating election ward "Tunis 2". The Tunisian elections witnessed a massive [participation] of more than 90% of all [voters] registered. According to the large number of ballots to be counted, final results should not be expected earlier than Tuesday. Together with him his son Saif Al-Islam [in] a hiding-place. Gadafi living, [gesticulating] and smeared with his blood. Above photo: The corpse of Gadafi after being shot some time after his capture. As to former leader Muamar Gadafi, reports of his death are already confirmed. There is a video showing him alive when being captured in Sirte where he was hiding in a sewer tunnel. Later he was shot in what the rebels named a crossfire. Gadafi died before reaching a hospital in Misrata. His remainings are kept there in a mosque. Gadafi's eldest son Saif Al-Islam was captured with him and seems to be hurt. Above photo: U.S. foreign secretary Hillary Clinton getting the news of Gadafi's death. The Day After: CNN visiting remains of Gadafi's last convoy that ended in a hell of flames. The Day After: CNN visiting the drain pipe where Gadafi tried to hide after succeeding to escape from the annihilation of his convoy. This morning, an ultimate attack of the rebel army and that was lasting not longer than 90 minutes freed Gadafi's hometown of Sirte from its last pro-Gadafi fighters. Bani Walid, another Gadafi stronghold was already freed some days ago. According to a goal the National Transitional Council NTC of Libya has set, the war should now be declared as being over and preparations for general elections in order to form a regular government could be considered as the next steps for the NTC. 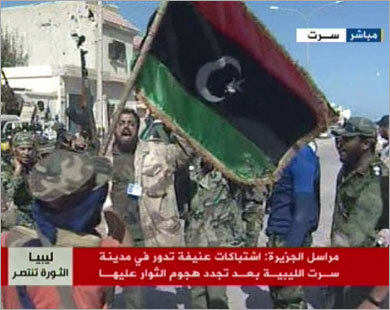 Subtitle of the above picture: "According to a correspondent of Al-Jazeera, violent fighting is taking place in the Libyan town of Sirte after a renewed attack of the rebels there." The picture was included in Al-Jazeera's Arabic website. As the fighting lasted only 90 minutes, it seems they could not change the subtitle before the result of that fighting could be verified and which must have taken some time. 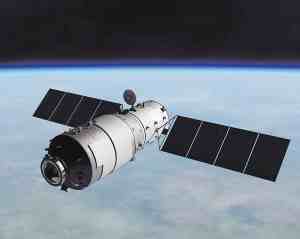 Reloaded blogspot from October 16 including recent updates. Headline: Iran's former president is warning that America might possibly use [military] force. On [October] 13, Khatami granted [an interview] where he indicated: "I fear an increasing possibility of a U.S. [military] coup because there is a steadily growing demand for a pretext on the U.S. side. Our political leadership must therefore speak and act cautiously not to give America a pretext for using force." Headline: [Ahmadi] Nejad replies to America's accusation of assassination and says Iran doesn't need to kill the Saudi ambassador. The news agency of the Islamic Republic of Iran cited Ahmadi Nejad's sayings the same day [i.e. October 16]: Each day, U.S. officials are doing everything possible to create a new crisis for Iran. This time they accuse Iran of having a hand in terrorist activity, but they must understand that terrorism is the business of "[unchangeable] people [fixed in their views]", while Iran doesn't need to engage in such business. 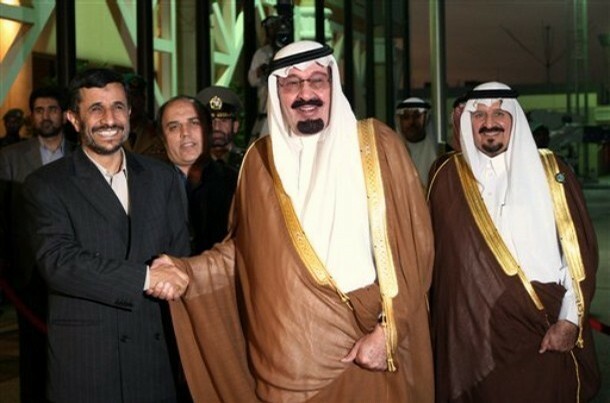 Long forgotten: A scene of mutual understanding between the king of Saudi Arabia and the Iranian president. Headline: Iranian threat stating [Iran's] ability to occupy Saudi [Arabia] at any time. After the U.S. announced having foiled the assassination plot that targeted the Saudi ambassador to the United States, such doubtlessly turning strained relations between Iran and Saudi [Arabia] to become white-hot, Saudi [Arabia] plans to submit that assassination affair to the United Nations Security Council and make the United Nations take new action against Iran. Iran is warning Saudi [Arabia]: Iran can by no means surrender to any external pressure. If Iran wants to, it can very easily occupy Saudi [Arabia] at any time. 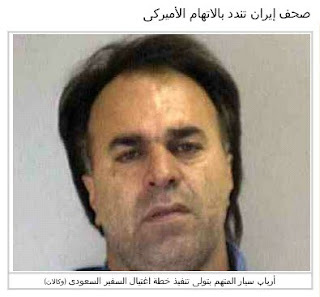 Headline: Washington is being requested to [allow] a visit of [its] prisoner Arbab Siar. Headline: Iran begins to prepare for the examination of that accusation [by the U.S.] of assassination plannings [targeting] the Saudi ambassador. [Referring] to a change of the Iranian attitude, the agency "Faranis Pars" reported that Iran's minister of foreign affairs [among the most honorable (*)] [made clear] that Tehran is willing to examine accusations [launched by] the United States of America on the subject of plannings to assassinate the Saudi ambassador. (*) = This could refer as well to a supreme council of state. In an exclusive interview with Al-Jazeera in Tehran on Monday, October 17, Iranian president Ahmadi Nejad said that the alleged killing plot was fabricated by the U.S. to cause rift between Tehran and Riyadh and to divert attention from U.S. economic problems. Last week, U.S. authorities charged that two Iranians were involved in the "plot directed by elements of the Iranian government" to kill the Saudi ambassador as part of a major "terror" attack. And U.S. attorney general E. Holder assumed that factions within the Iranian government were involved in the plot which was "conceived, sponsored and directed from Iran". Despite the significance of the allegations, Ahmadi Nejad said that Tehran would not launch an investigation into the matter. Such statement is obviously opposing the above mentioned news that Iran's minister of foreign affairs might be willing to examine U.S. intelligence material on the subject. As to Nejad's claim of U.S. allegations causing a rift between Iran and Saudi Arabia, a member of the National Security Network in Washington DC told Al-Jazeera that such rift has already been existing for many years now. 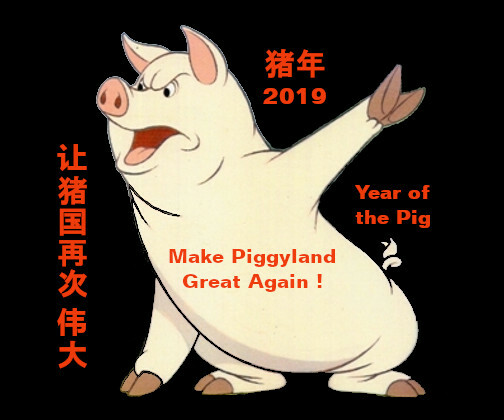 Trying to make an overall evaluation of the facts and news reports contained in the present blogspot of mine, I am declined to conclude that there is much inconsistency in the behaviour of the Iranian leadership. This might support U.S. considerations of factions within the government being involved in an assassination plot and that has not been brought to the attention of all leading figures in Iran. Yet, there could be evidence as well of a rather complicated relationship between political and religious leaders in Iran which would spontaneously produce an inherent reaction on any question of public interest. Iranian Leadership behind Assassination Plot ? The assassination attempt on the Saudi ambassador to Washington has triggered off strong U.S. protest towards Tehran as the Iranian leadership is being seen behind that unusual crime. One of the culprits has already been captured while another is still at large. The Iranian president prepared an assassination squad with the help of an "army corps of the saints" (*). (*) = Probably meant are the "religious guardians" of Ayatollah Khamenei. Such interpretation would fit a political analysis transmitted by CNN and that is seeing the Ayatollah in charge of the assassination attempt together with the Iranian president. Ahmadi Nejad .. the brain of those who staged the assassination attempt on the Saudi ambassador in Washington. Special sources of Al-Arabiya Channel confirmed that Iranian president Mahmood Ahmadi Nejad has already prepared an assassination squad with the help of a special unit from the "army corps of the saints" which belongs to the revolutionary guard, their task being the realisation of assassinations. Official opinion from Al-Wasat الوسط [The Center], Manama / Bahrain, published the following day [October 13]. Headline: Bahrain's condemnation of the assassination of Saudi Arabia's ambassador to Washington. Headline: The Iranian press make a stand against America's accusation. Yesterday, Thursday [October 13], the Iranian press stood united in [publishing] a rejection of the American accusation, directed against [their] country, of an assassination attempt against the Saudi Arabian ambassador in Washington, taking into consideration that the accusation needs to be proved and is intended to incite confusion between Riadh and Tehran. Above: Person accused of being responsible for the execution of the assassination plot [directed against] the ambassador of Saudi Arabia. Al-Zawahiri threatening and conjuring up - an Algerian "revolution"
The above photo is showing Al-Zawahiri while recording his last emission in June 2011. 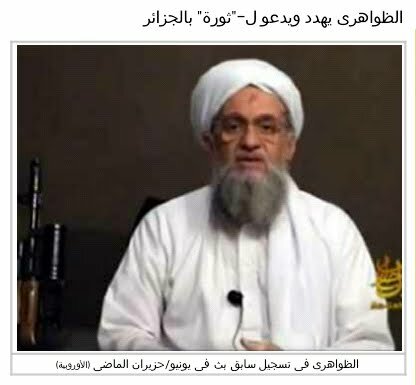 The leader of Al-Qaeda organization, Aiman Al-Zawahiri, is insisting on his devotion regarding [his attitude towards] the United States on a new video tape, and he calls for a "revolution" in Algeria. "Libya's [de facto] ruling authorities are saying that Gadafi's fifth son is under siege in Sirte." "According to British media reports that cited yesterday's [NTC] military statement, Motassim Gadafi is already encircled in Gadafi's hometown of Sirte ..."
Today's daily report from Al-Jazeera cited a military bulletin of the revolutionary army saying that 90% of Sirte are already under their control. Nevertheless, intense fighting is going on as Gadafi loyalists are still well equipped with weapons and ammunition and are seemingly decided to fight till the very end. To demonstrate normalization of life in the capital of Libya, Tripolis airport has been reopened today by the transitional authorities. Above: "Libya lowers the curtain over 42 years of Gadafi rule." Source: France24.com, Arabic service. Video tape unveils aggression exerted by Israeli police against Palestinian family in the town of Jaffa. We do not know why Israeli policemen are trying to arrest that Palestinian youth. Nor do we know why at least three officers are needed to keep him down when he is already lying on the floor. But according to the treatment of his upset family, we could imagine that there is some basic aggression making its way. Nice example of Israeli fascism, rather rarely seen in Germany nowadays. It seems they really learnt their business from our bad ancestors. 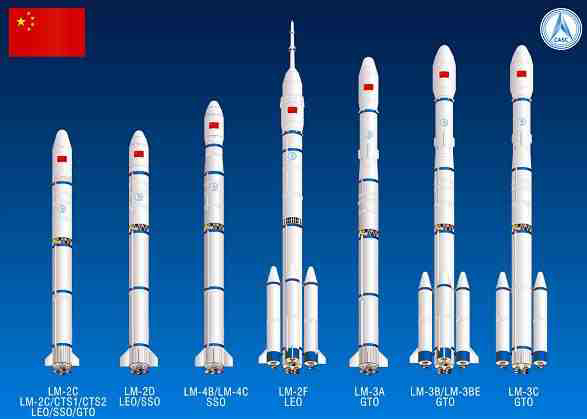 "Heavenly Palace" No.1 project: Launching of "Long March" series II carrier rocket. Actually available series of carrier rockets - picture of the whole family. 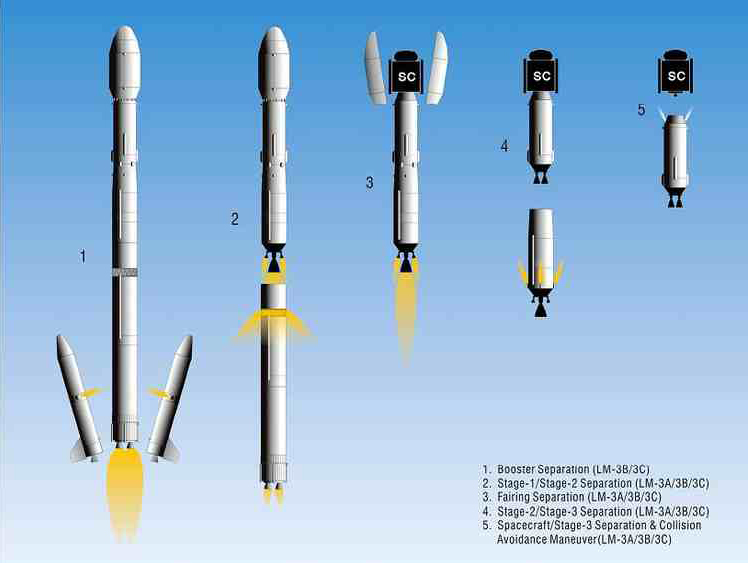 Schematic diagram of stage separation for "Long March" series III, identical procedure to the separation of stage 1 and 2 for "Long March" series II. 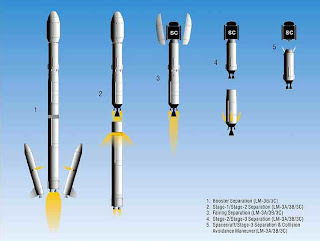 Schematic diagram of stage-3 propulsion engine for "Long March" series III. 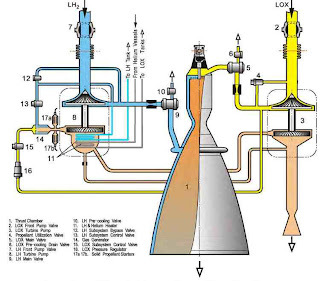 The propulsion system uses liquid hydrogen (LH) as a fuel which is being mixed with liquid oxygen (LOX) in the upper part of the thrust chamber where ignition of the explosive mixture takes place. 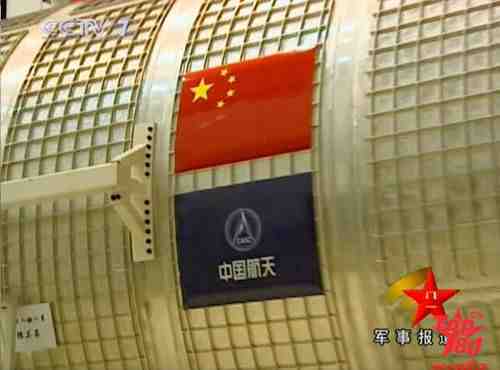 In a subsystem, small portions of hydrogen and oxygen are being mixed in a gas generator. 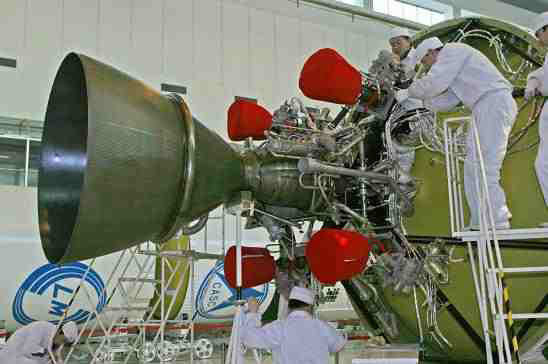 After preheating, the now gaseous mixture has a remarkable pressure and can therefore drive the LH and LOX pumps. The escaping gas composition of the subsystem can then be released (or even burnt) in a side chamber and thus add to the thrust of the main chamber. 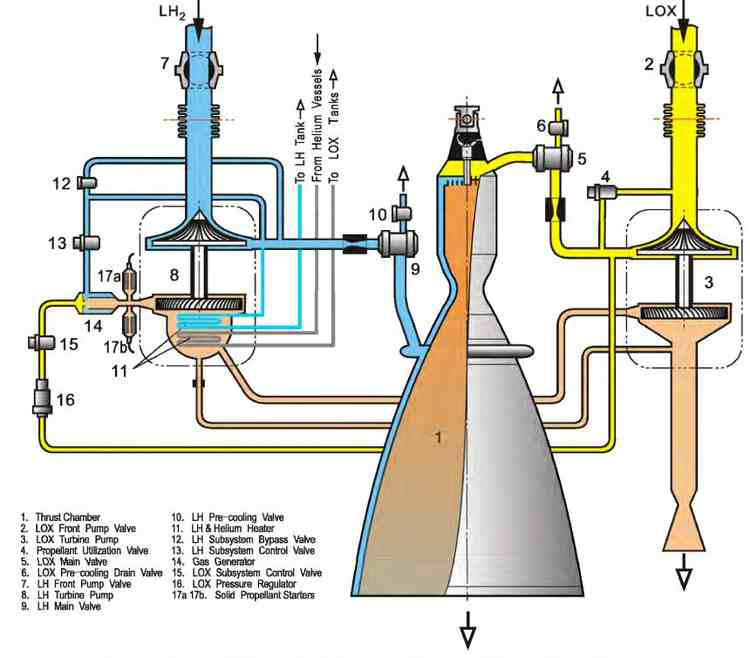 As to the "solid propellant starters" (items 17a,b) in the above drawing, I could imagine that these are solid state fuel cells for the "cold burning" of explosive gaseous mixture in the subsystem, thus generating a certain amount of electricity for initial operation of the pumps and ignition in the thrust chamber. Yet, this cannot be verified by additional information. 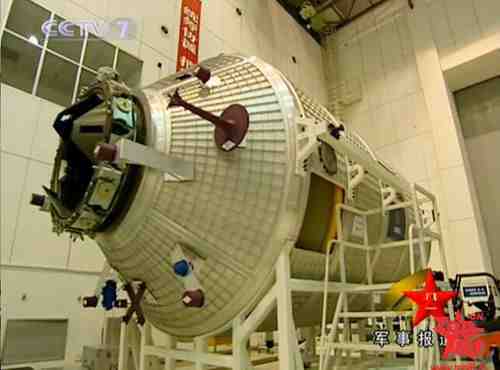 Propulsion device, identical for the second stage of carrier rocket "Long March" series III and II-3. 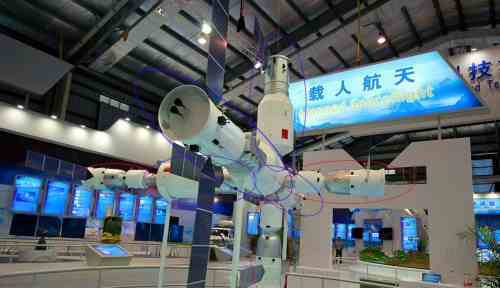 First and second stage of "Long March" series II-F.
Advertisement for China's Aviation EXPO 2011 last September. 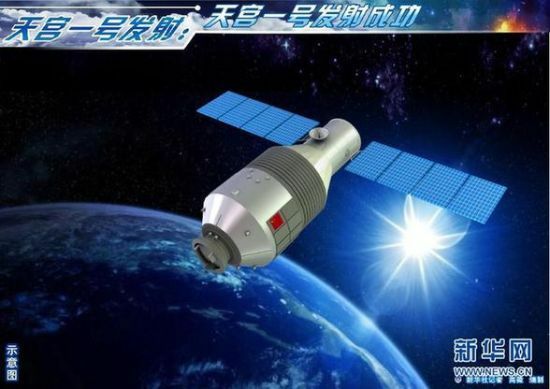 The Premier of the State Council, Wen Jia Bao, meets with commanding members of the Tiangong No.1 flight mission and representatives of the research and experimental units at the Jiu Quan satellite launching site. 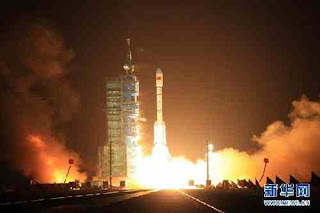 At the Jiu Quan satellite launching center, an improved "Long March No.2 FT1" rocket successfully launched that mission. Beijing Flight Control Center who carried out this successful mission made the first orbit control, raising the altitude of [Tiangong's] apogee from 346 km to 355 km. Hu Jin Tao, general secretary of the Communist Party, congratulating staff members after the successful launch. In 2010, according to the plannings, China set up its goal to launch "Heavenly Palace" No.1 as a flight device. "Tiangong" No.1 is in fact a space laboratory and experimental platform, applying a two cabin construction pattern that is separating an experimental cabin from a cabinet of resources. 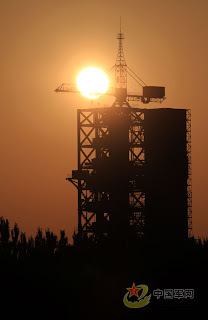 Later, another launch of [the carrier rocket] "Boat of the Gods No.8" should take place. 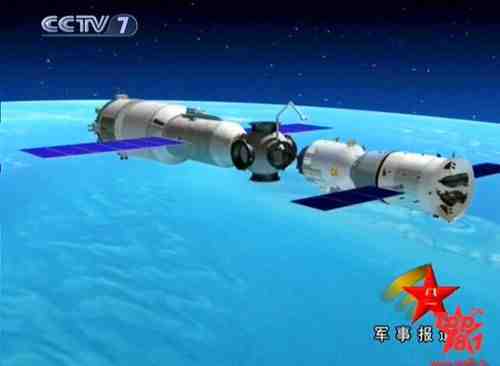 "Shenzhou No.8" is an unmanned [space] ship that should undergo some fully automated docking tests with the "Tiangong" No.1 device. Before 2015, "Tiangong" No.2 and "Tiangong" No.3, two space laboratories, will be launched in succession. 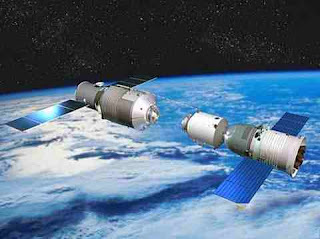 "Tiangong" No.2 is mainly used for the development of global observation, the science of spacial and global systems, as well as new technologies applied in space, space technology and medical research of spaceflight. Such are the domains of practical and experimental work. "Tiangong" No.3 should mainly complete testing and verification of key technologies for regeneration and life protection by experimental means. Tracking experiments for the average time of astronauts when either being stationed [in space] or on board of a carrier ship. Furthermore, experiments for the development of partial space science and space flight medicine should be carried out. 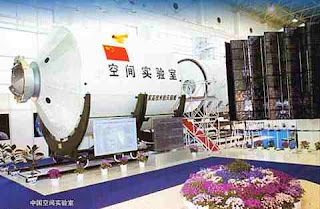 With an overall length of 10,40 m and a maximum diameter of 3,35 m, the Tiangong No.1 [module] is a simple round shaped space cabin with a bisectional construction. 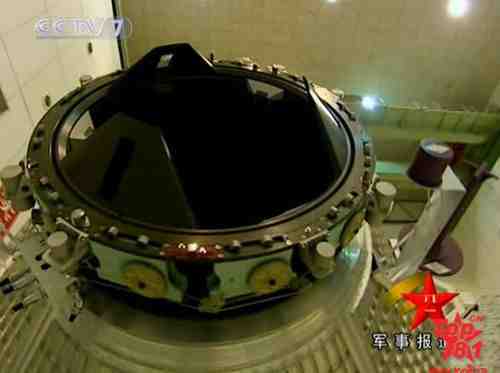 Its internal life space is about 15 cubic metre.